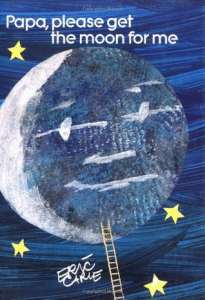 Papa, Please Get The Moon For Me by Eric Carle is an enchanting book about a Dad who gets the moon for his little girl. It’s a lovely story that is a wonderful springboard into talking about the phases of the moon or even other nature cycles. You could also connect it to the topic of giving gifts. These songs may be more suitable for older primary kids but younger children will still be interested in the animations and the catchy rhythms.